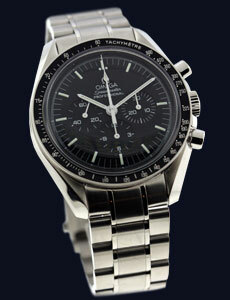 Why Choose Govberg to Repair Your Omega Watch? When every second counts, choose Govberg Watch Repair to service your fine Omega watch. Fill out the form on the right to get started with your FREE Estimate for repair of your Omega Watch. Few brands possess as many records and milestones as the Omega brand. Not only trusted to be the timepiece of choice for all of NASA’s space missions (including each of the six lunar landings), Omega also holds its position as the official timekeeper for the Olympics. Originating in a small Swiss workshop in 1848, the Omega brand has always strived to make the most accurate and precise timepieces on the market. In situations where accuracy is of the utmost importance, pieces like the Speedmaster, which has been used by NASA since the first lunar space mission, are employed to make sure the job is done right. Back on Earth, no brand is trusted to be more precise during the Olympic games than Omega, whose products have been the sole timekeepers for twenty-four Olympic games. In addition to these accomplishments Omega watches, in particular the Seamaster, have been the preferred timepieces in each James Bond film since 1995 due to their impressive styling and the strong build quality. Routine maintenance is required to guarantee that your Omega will operate according to manufacturer specifications for years to come. At the Govberg Watch Repair center, we provide every type of service on your Omega, from a routine cleaning to a complete overhaul of your watch’s movement. All Omega models, including the Constellation, Seamaster, and Speedmaster and more, can receive authorized service by Govberg Watch Repair.